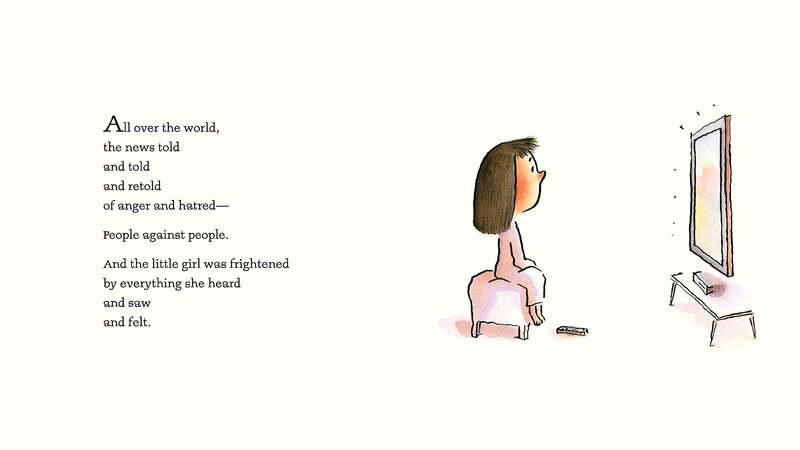 A lyrical and timely story about a little girl who learns the power of kindness, bravery, and friendship in the face of uncertainty. 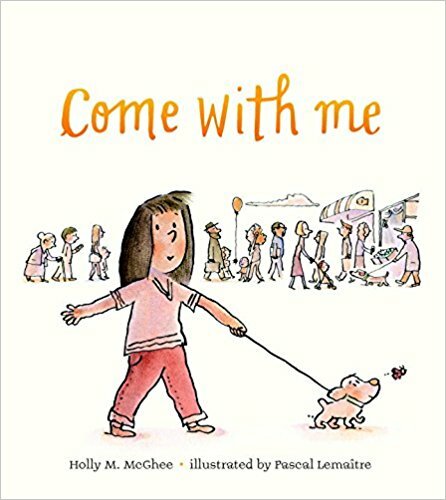 I’ve been on my own journey of being present and mindful in my own life and the new Penguin children’s book, “Come with Me” is a great reminder that I want to enjoy the ride and not just the destination. The climate today is uncertain in the United States and while I do have a small part in being a dutiful citizen, I have a more important commitment to my children and husband. My happy place is being outside, with my family, having fun and making/EATING food. Being able to check out of work to recharge is essential to me having energy and it goes the same for my partner and my kiddos. If we need a ‘chill weekend’, that’s what we do. If we plan adventures or classes, that’s what we do. We make choices and decisions together that benefit us and that is my bottom line at whatever I do. It’s good to take time to process information so we are all better informed at making decisions and taking time to refuel. I know that is hard to do, especially with young children, caring for others, and being the main financial provider, so I do understand. However, I’ve learned to stop and think, “Do I need to do this right now?” about many things I do and the answer is usually no. I’d much rather read with my kids or listen to music with my husband. I’m good with that. 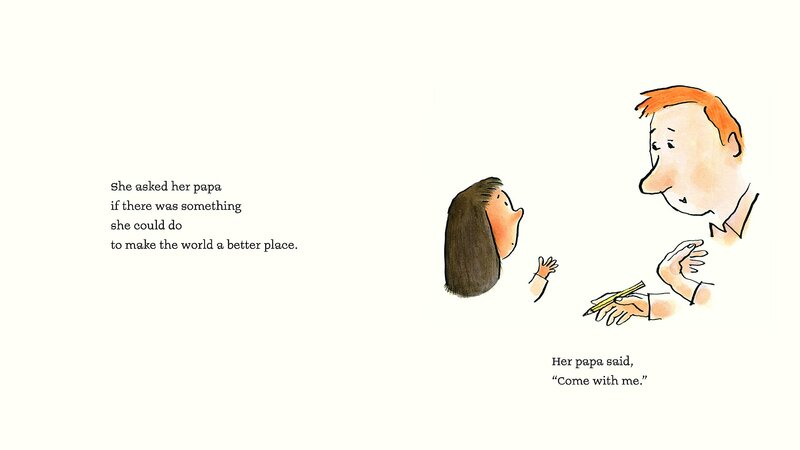 When the news reports are flooded with tales of hatred and fear, a girl asks her papa what she can do to make the world a better place. “Come with me,” he says. Hand-in-hand, they walk to the subway, tipping their hats to those they meet. 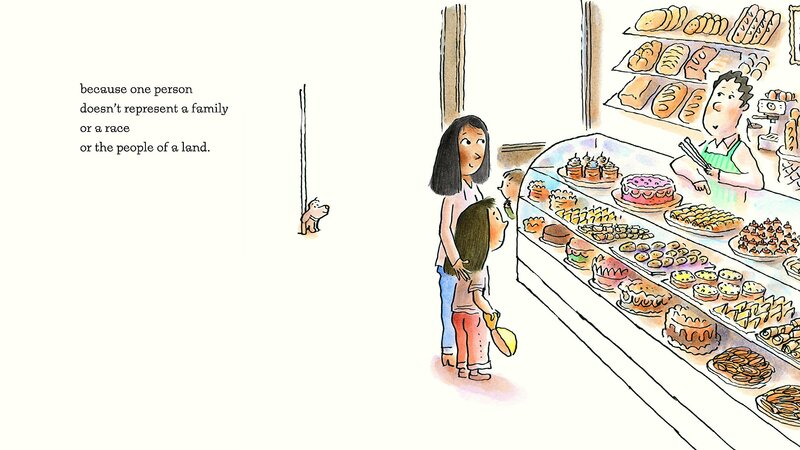 The next day, the girl asks her mama what she can do—her mama says, “Come with me,” and together they set out for the grocery, because one person doesn’t represent an entire race or the people of a land. After dinner that night, the little girl asks if she can do something of her own—walk the dog . . . and her parents let her go. “Come with me,” the girl tells the boy across the hall. Walking together, one step at a time, the girl and the boy begin to see that as small and insignificant as their part may seem, it matters to the world. About the Author: Holly M. McGhee is the author of the middle-grade novel, Matylda, Bright & Tender. She has also written picture books and a chapter-book series under the pen name Hallie Durand, including Mitchell’s License and Mitchell Goes Bowling. A literary agent too, she lives with her family in Maplewood, New Jersey. You can visit her at hollymcghee.com. About the Illustrator: Pascal Lemaître is the illustrator of several books for children, including Do Not Open This Book! and the New York Times bestseller Who’s Got Game? His wife is the dancer-choreographer Emmanuèle Phuon and their daughter, Maëlle, walks their dog, Doodle . . . sometimes. You can visit him at pascallemaitre.com.